A family home is the single largest and most important purchase a person makes in a lifetime. A home represents a major financial commitment, from mortgage payments to equity buildup. With so much on the line in just one purchase, most homeowners examine the possibilities of insurance on their most vital asset. 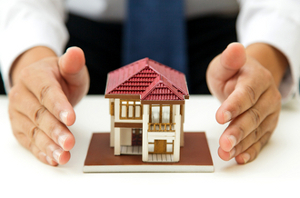 The agents at Simpson Insurance Agency can help homeowners find the right policy to protect their home and property. Many mortgage lenders require borrowers to have some level of coverage before authorizing a loan. In order to determine the amount of coverage needed, the homeowner must conduct a value assessment. A value assessment determines the value of replacing the home in the event of a total loss. Factors such as the age of the house, the structural integrity and the surrounding neighborhood all contribute to the value assessment. Property Inventory in a homeowners’ policy covers damage to the home, and also covers the cost of lost or stolen property within the home. A property inventory lists the valuable items within the home. The inventory should include items such as jewelry, collectibles, electronics and other big-ticket items. Homeowners can take several steps to reduce the cost of their insurance. Fire safety equipment, such as smoke detectors and fire extinguishers, can lower the homeowners’ fire protection insurance premiums. Alarm systems, motion sensors and carbon monoxide detectors are also important safety items that can bring down insurance rates. To learn more about homeowners’ insurance, reach out to one of the experienced agents at Simpson Insurance Agency today! © 2019 simpson insurance. All Rights Reserved. Web Design and SEO provided by Best Edge SEO Inc.